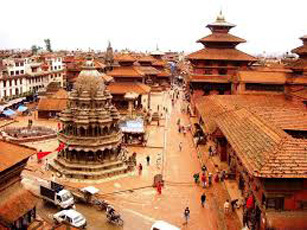 Experience the architectural excellence and spiritual awakening at Pashupatinath temple and Boudhanath Stupa. Destinations: Kathmandu, Pokhara, Tatopani, Muktinath, Kalopani, Pokhara, Chitwan, Nagarkot, Last Resort and to Kathmandu. Upon arrival, met by representative and transferred in a private deluxe van to the hotel Manaslu / similar. 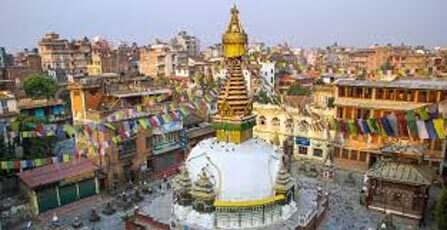 09:00 Hrs: After breakfast met by guide and vehicle for half a day’s sightseeing tour of Boudhanath Stupa and Pashupatinath Temple. The Boudhanath Stupa is located 6 kilometers Northeast of Kathmandu and is a colossal imposing Stupa standing about 36 meters and is one of the oldest Buddhist monuments ever built in Nepal. 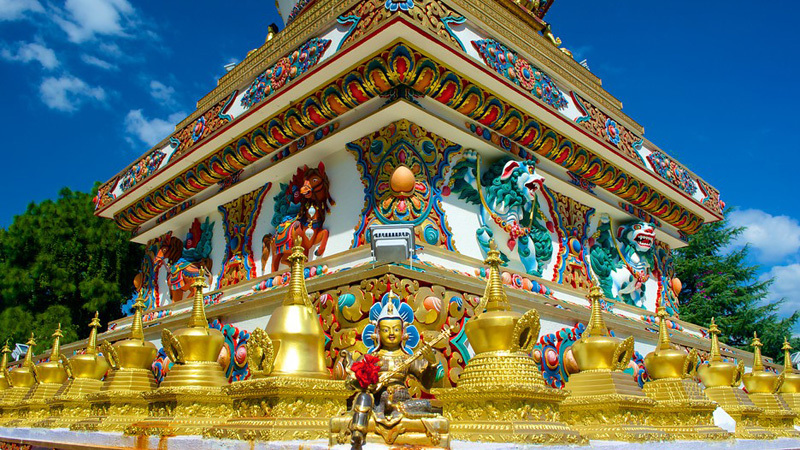 The stupa stands on the massive three level Mandala style platforms surrounded by colourful family style houses. The Stupa is said to have been built in the 5th Century and is a sight of great veneration to the Buddhist. Continue on to Pashupanath Temple - the most sacred of the Hindu Temples in the world and is amongst the five principle pilgrimage sites for the Hindus. On an annual pilgrimage during Shivaratri Festival, thousands of devotees of Lord Shiva from all the Hindu communities of the world, pay their homage here. Pashupatinath is the reincarnation of Shiva in his most benevolent form as the shepherd of fertility and so there are no animal sacrifices in this temple. Only fruits, flowers and vermilion are offered. It lies on the banks of the Bagmatiriver and for the Hindus, to be cremated at Pashupatinath, means a direct passage to heaven.After the visit, return to the Hotel. From here, the road is unpaved and dusty with potholes in several places. Unpaved, graveled rough road poses a real challenge for riders and makes it more difficult with the occasional river crossings. Ascend gradually through the Kali Gandiki gorge, the deepest gorge in the world. There is a continuous change in the topography with every twist and turn until our arrival at Tatopani. Tato” means 'hot' and “Pani” means 'water', a name earned courtesy of the hot springs and is a popular place for trekker’s to relax and dip their weary bodies in the natural hot springs. Upon arrival at Tatopani check in to the Lodge. After an early breakfast, set out on the trail by following the Kali Gandaki River and passing the Thakali and Magar Villages to Dana (4750 ft./ 1446 m.) famous for its beautiful cascading waterfall. Steeply ascend to Ghasa (6600 ft./ 2012m) and continue the ride on a dusty and one of the difficult section of the road towards Jomsom via the Thakali villages of Tukuche and Kalopani. Enroute, there are fantastic views of the Mt. Dhaulagiri (8167 m), Tukuche (6920m), and Nilgiri (7061m).As we pass between the Dhaulagiri and the Annapurna mountain range, a dramatic change in vegetation is witnessed from green forests, to dry arid desert. It takes gradual acclimatizing with the surrounding. The Thakali’s are the dominant tribe of the valley, related to the Gurung and Magars of the southern slopes. Continue the ride towards Jomsom through the dusty graveled “off” road passing smaller settlements and apple orchards. There are excellent views of Mt. Nilgiri and the Kali Gandaki River flows on the right hand side of the trail. Jomsom (2713 m) is more correctly known as Dzongsam or New Fort. It spreads over both the banks of the Kali Ghandaki. The towering peaks of Dhaulagiri and Nilgiri form an attractive backdrop. Being the district headquarters, it is primarily an administrative and commercial center with government officials and merchants rubbing shoulders with the local inhabitants of the region, known as the Thakalis. Jomsom is the Administrative center of the Mustang region and the gateway to the Annapurna region. A land of mystique, the rugged peaks of the Annapurna, Nilgiri and Dhaulagari gaze down in their awesome splendor at weathered landscapes that contrast with the deep river ravines over noisy riverbeds. Jomsom is a mixture of hard work, social frivolity tempered by culture founded on deep religious traditions. It has the only airport that operates daily scheduled flights to Pokhara in the early mornings before the winds build up. From here continue ride passing through the village, past the High Altitude Mountain Warfare School of the Royal Nepal Army and through several restaurants, bhattis and a hospital. We pass through the old Jomsom village which boasts of several lodges, restaurants school and government offices. At the end of the village the valley opens wide, take the left side of the trail just after crossing the three ruined chorten and continue on the east bank of the Kali Ghandaki River. After about 20 minutes, arrive at Ekklaibhatti a small village with few lodges. There are two trail here. The left will lead to Kagbeni while the right one leads to Muktinath. We take the right trail and continue to ascend slowly to the settlement of Jharkot, which has a fort “Kot”. Upon arrival at Muktinath check in to the guest house. Late PM: Visit Muktinath Temple The Muktinath Temple is a sacred place both for Hindus and Buddhists and is located at an altitude of 3,710 meters at the foot of the Thorong La (5416 m Pass), Mustang district, Nepal. The site is close to the village of Ranipauwa, which sometimes mistakenly is called Muktinath as well. The Hindus call this sacred place MuktiKshetra, which literally means “Place of Salvation". This temple is considered to be the 105th among the available 108 DivyaDesam. The ancient name of this place, before the Buddhist origin was known as ThiruSaligramam. In Muktinath-ChumigGyatsa all the elements are represented and for this and reasons unseen, yogis from both religions do their meditation at Muktinath. For Tibetan Buddhists, Muktinath (ChumigGyatsa) is a place of Dakinis (goddess known as Sky Dancers). 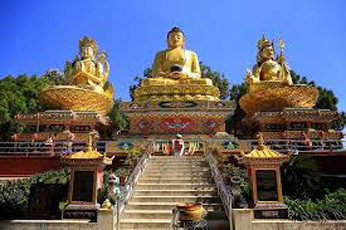 It is of great importance for Buddhists as ChumigGyatsa is one of the 24 Tantric places. For Hindus, beside the natural fire representing Brahman and the holy waters, the central meaning of the Muktinath area is veneration of the god Vishnu in the form of ammonites (shilas) called Salagrama – Shilas. There are many stories which tell of Vishnu turning into stone and all of them are closely connected to the holy Kali Ghandaki River. According to contemporary geologists, the Salagrama – silas (found at the banks and river bed of the holy river Kali Ghandaki) are fossils of a prehistoric insect. This insect is mentioned in the BhavisyaPurana. Therein, Tulasi, the sacred plant so dear to Vishnu, cursed Vishnu to become a stone during one act of their eternal lila. Vishnu said, “To fulfill your curse, I will become a stone (Salagrama-sila) and will always live on the banks of the Ghandaki River. The millions of Vajrakita worms that live at that place will adorn those stones with the signs of my chakra by carving them with their sharp teeth”. After the sightseeing tour of Muktinath Temple descend down to the Ranipauwa (Main Bazaar of Muktinath).Rest of the day is free to relax or explore around the town. Kagbeni at an altitude of 2840m is a fascinating medieval village with closely packed mud brick houses, dark alleys and imposing chortens lies along the Around Annapurna Trekking route and is the gateway to Upper Mustang. The village stands in a little green oasis dominated by its red monastery. Though the village has a very medieval look, it can provide all the modern amenities that a traveler requires. This is the only village after Jomsom where there is an internet facility for communication with the outside world. This village also boasts of a Monastery. The monks here are of the yellow hat or the Gelukpa Sect and have only recently opened their monastery to visitors with a legitimate entrance fee of Rs 100, which they collect for the maintenance of their school. It is a pleasant relief to be able to tackle the roughest section of the journey in the early morning. Descend to Tatopani (21 kilometers) and then continue riding back to the settlement of Jaleswor located close to the river and then continue on to beni. After a quick stop for a quick, set out following the trail along the river and the after about an hour meet the main highway at Maldhunga and then continue of the metalled road to Pokhara which is reached in about 2 ½ hours. Upon arrival at Pokhara. check in to the hotel. After breakfast meet at the hotel lobby and start ride towards Chitwan (Approx. 167 Kilometers). Retrace the road leading to Kathmandu till Mugling (Approx. 96 Kilometers from Pokhara) and then turn south at the junction where the highway bifurcates and ride to Narayangarh (Approx. 38 Kilometers). 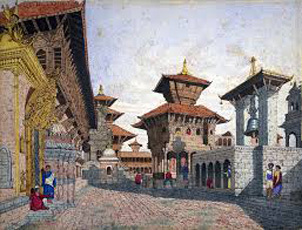 Narayangarh is an important trading centre of the central Nepal. There is a domestic airport (Bharatpur Airport) with connections to Kathmandu and Pokhara, and is the gateway to the nearby Chitwan National Park. 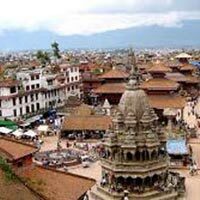 It is also a major road link for the eastern and western parts of the country to the capital city of Kathmandu. And also Narayangarh is very famous for "Taas", a spicy fried goat-meat lunch dish served with Bhuja or Cheura (Beaten Rice).Continue ride to Sauraha. Chitwan National Park, the oldest national park in Nepal is situated in the subtropical inner Terai lowlands of South Central Nepal. The park has an area of 932 square kilometers. The park was designated as a World Heritage Site in 1984. The park is just a short detour off the Prithivi Highway. The name Chitwan means heart of the jungle. 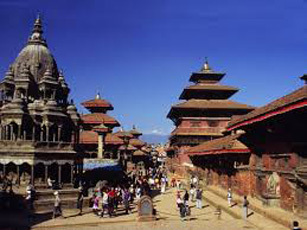 In recent years has park has risen meteorically on the lists of the Things to do in Nepal. The park covers a pristine area with a unique ecosystem of significant value to the world. It contains the Churiya hills, ox-bow lakes and flood plains of Rapti, Reu and Narayani rivers. The Sal forests dominate the vegetation of the park. The grasslands form a diverse and complex community with over 50 species, the Sacchurun species, often called elephant grass, can reach 8m in height. The park boasts of more than 43 species of mammals, 45 species of amphibians and reptiles and 450 species of birds in the park. The park is renowned for endangered animals along with many other common species. 6 km to arrive at the cross section where the roads to Kathmandu via Daman &Naubise and the road to Kathmandu via Khuleykhani Dam and Pharping. We take the right turn and then ride 12 km to Bhainsay, a small town on the foothills. From here it is a 10 kilometer ride to Bhimphedi where riders are required to pay the toll tax for crossing over the narrow curvy and steep road up to the Kulekhani Dam. Kulekhani Reservoir is also known as IndraSarobar and the security guards do not allow people lingering along the dam area. So, a short break for some quickly taken photographs, we continue on the ride to Kathmandu. Some section of the roads is still under construction and may be a bit difficult to negotiate and tests the driving skills of the riders. However, it is only about 15 kilometers and then the route becomes a more pleasurable ride except for the jeep drivers that tests ones patience with their speed driving and continuous honking of their horns. This section of the ride provides beautiful scenery of the mountains, rolling forested hills, deep gorges and typical Nepali village scenery. 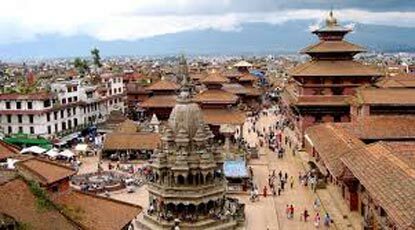 Our arrival at Pharping brings us to the city limits and an 18 kilometer a ride brings us to the city centre - Kalanki and from here take the right turn and ride towards Koteshwor and follow the road to Bhaktapur. From here continue ride for another approx. 15 Km to Nagarkjot. Nagarkot tucked away in the upper reaches of Kathmandu Valley in Nagarkot with a history that dates back to the first human settlement of the valley. Once a busy trade route to Tibet, Nagarkot still maintains its popularity for its spectacular sunrises and sunsets over the Himalayas. After leisurely breakfast retrace the route till Bhaktapur. From here onwards the ride becomes much easier with less traffic till Dhulikhel (Approx.18km). Dhulikhel a typical Newari town with nearby Tamang villages situated at an elevation of 1550 meters. From the summit above the village, one can get an unobstructed panoramic view of the Himalayas. Dhulikhel is a small town and is famous for its scenic beauty and old tradition. It offers magnificent views of the Himalayas from Mt, Karyolung in the east to Mt. Himalchuli to the west the twin crest of Mt. Langtang in the west to the Mt. Everest in the east can be clearly viewed in a clear day. Dhulikhel is ideal for snow-capped peaks, sunrise, sunset and it is different from any other and is one of the best sites to watch the sunrise over the Himalayas. Continue ride towards the Last resort through the Arniko Highway following the gorge of the Sunkoshi and BhoteKoshi Rivers the entire way. After few kilometers from Dhulikhel the highway drops in to the red – tented, severally deforested Panchkhal Valley, crossing the braided strands of the IndrawatiKhola at Dolalghat – the lowest point on the entire road at 634m. The scenery changes abruptly after Dolalghat, everything is intensely green with waterfalls. The gorge is much deeper than it looks from the road up to the Last resort.Upon arrival check in to the resort. After leisurely breakfast ride towards friendship bridge (Nepal – China Border). After spending few times at the border get ready and ride towards Kathmandu.